Get ready, get set, go! This is the quintessential Mullum Circus Festival event that gets everybody’s competitive streak tweaked, and funny bones tickled. 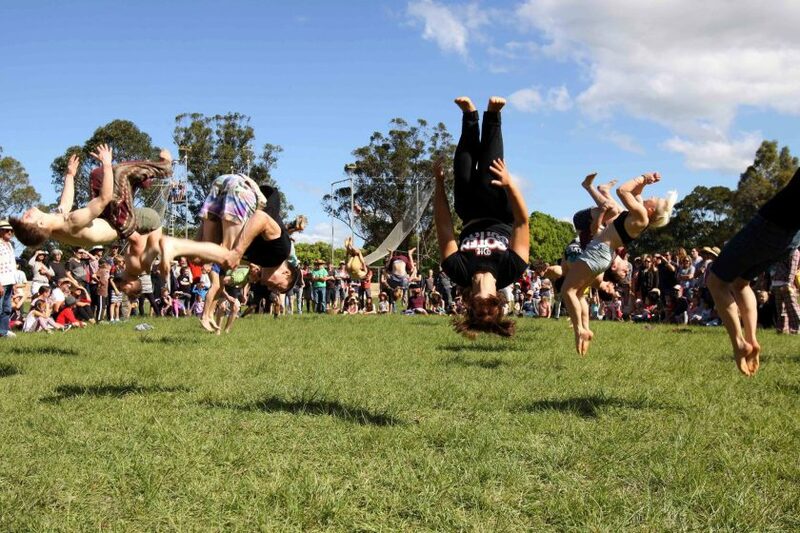 Find out who will be named the very best in the land in wacky competitions like most backsaults, fastest unicycling, hula hoop combat, juggling passing, longest handstand, and many many more. Events are open to all, prizes are coveted and the prestige lasts a lifetime! Witness with your own eyes as records are broken and friendships tested. Who will emerge atop the circus mountain of greatness, who will be crowned queen or king of them all?! Laugh out loud and scream with encouragement! Come live vicariously through the acrobats who sacrifice their bodies for your entertainment pleasure at the Mullum Circus Festival Circus Olympics!